We’ve uncovered great options for both beginners and pros. The ride-on mower market is now so diverse that choosing the right model is as tricky as choosing a new car. Luckily, we’ve tested everything from entry-level lawn tractors to zero-turn mowers that wouldn’t be out of place in a groundsman’s shed. We’ve also put together a comprehensive guide to finding the perfect type of ride-on for keeping your slice of heaven tidy. Snapshot: The MTD 420/38 is a tractor-type ride-on mower with a single cylinder engine and a 38/97 cutting deck. But how does it perform? Snapshot: The John Deere D110 is a tractor-type ride-on mower with a single cylinder engine and a 42/107 cutting deck. But how does it perform? Snapshot: The John Deere D125 is a tractor-type ride-on mower with a twin cylinder engine and a 42/107 cutting deck. But how does it perform? Snapshot: The Cub Cadet LX42 XT2 Enduro is a tractor-type ride-on mower with a twin cylinder engine and a 42/107 cutting deck. But how does it perform? 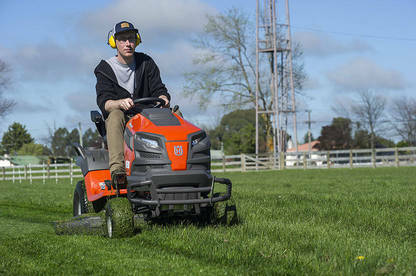 Snapshot: The Rover Raider 1538 is a tractor-type ride-on mower with a single cylinder engine and a 38/97 cutting deck. But how does it perform? Snapshot: The Husqvarna TS342 is a tractor-type ride-on mower with a twin cylinder engine and a 42/107 cutting deck. But how does it perform? Snapshot: The Victa VRX17533 HC is a tractor-type ride-on mower with a single cylinder engine and a 33/84 cutting deck. But how does it perform? Snapshot: The Victa VRX19542 is a tractor-type ride-on mower with a single cylinder engine and a 42/107 cutting deck. But how does it perform? Snapshot: The Kubota Z122R is a zero-turn twin lever ride-on mower with a twin cylinder engine and a 42/107 cutting deck. But how does it perform? Snapshot: The Husqvarna Z246i is a zero-turn twin lever ride-on mower with a twin cylinder engine and a 46/117 cutting deck. But how does it perform? Snapshot: The John Deere Z335E is a zero-turn twin lever ride-on mower with a twin cylinder engine and a 42/107 cutting deck. But how does it perform? Tractor-type, zero-turn or rear-engine? We’ve explained what to consider, plus we’ve covered the different ways clippings can be fired out of a mower. 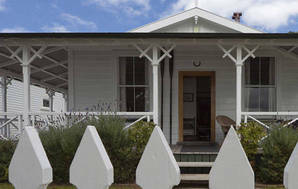 Our test was conducted at the Solway Showgrounds in Masterton. We ran mowing performance tests in side-discharge mode (that is with neither mulching kit nor catcher fitted) on a patch of long (100-120mm), thick grass. We cut two 20m runs on the highest cut setting, before mowing two more lengths at progressively lower cutting heights. Then, we assessed each run for evenness, consistency and cut quality – we noted if the mower slowed or struggled when we lowered the cutting height. We also ran mulching and catching tests on grass approximately 50mm high, for mowers where a mulching kit or catcher was included. Points were awarded based on how well mulching mowers distributed finely cut clippings evenly over the lawn. Similarly, the catcher mower was scored based on its consistency of cut and whether it left clumps behind. Our ease-of-use assessment looked at the handling, ride comfort, ease of controlling speed, starter mechanism, ease of engaging the mower blade drive, changing cutting height and checking fuel level. We also measured the noise of each mower and the minimum mowable diameter (effective turning circle) for tractor models. To verify each mower’s safety, we assessed the instructions, warning stickers and labels, pulley and belt coverings, and automatic safety cut-outs. All mowers in our database passed the safety assessment. What do you need to consider when buying a ride-on mower? We’ve taken a look at pricing, size, weight and assorted features. We’ve also explained when you should test drive a mower before you buy. Wear hearing protection and safety glasses. In dusty conditions a dust mask is also advisable. Don’t use side-discharge mowers if other people, children or pets are nearby. Sticks and stones can be flung a considerable distance. Windows may be at risk even from some distance. Buy a model with a “seat shut-off switch” that stops the blades as you get off the mower or if you don’t set the park brake before hopping off. Keep off slopes, particularly on wet grass. Check the manual for slope limits. Avoid mowing in reverse – it's hard to see whether there are children or pets in the way. Choose a model with reversing safety features if you need to back up frequently. Check you can get on and off the mower without bumping into controls that might accidentally start the mower operating. 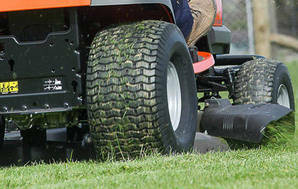 Mowers with a rear-mounted grass catcher may need front weights to stop the front wheels lifting. In order to keep your ride-on mower running well, you need maintain it properly. Domestic ride-on mowers are belt driven. The transmission and blades are connected to the motor by V-belts, which can get damaged by careless use. Be careful not to over-work the belts, particularly when mulching or mowing heavy grass. If the blades get jammed by an excess of clippings, the belts can get burned out in one place. This may cause vibration or a weak spot that will eventually break. Keep the blades sharp. A keen cutting edge will give a cleaner finish and make mulching work better. An annual pre-season sharpen and service is recommended. If you’re handy, a 100mm angle grinder will quickly restore a stone-damaged blade edge. Be careful not to take off too much metal and make sure you take the same amount from each end or the blade will go out of balance. You’ll need to remove the deck and then the blades to do this. It’s not difficult on most machines as you only need to take the drive belt off (it’s loose and slips off easily unless the PTO is engaged) and remove 3 or 4 spring clips or bolts to release the deck. The deck can then be slid out from under the machine. More maintenance is required than for a standard mower. Consumer Reports says ride-on mowers are among the most repair-prone products it tests. So check out your retailer's after-sales service. Maintenance is also something to consider when buying second-hand. Has it really been looked after? Make sure you change the oil and oil-filter (where fitted), check and clean or replace the air filter, replace spark plugs and grease any greasable points at recommended intervals. If you don’t want to do your own maintenance think about how you will get the mower back to the dealer. Dealers may be pleased to come and collect the machine and maintain it, but all this can add significantly to the running costs. Ride on mowers typically have a pressed-steel mowing deck (the housing that covers the blades). Steel is vulnerable to rusting if you leave wet grass clumps under the deck. A washing port connects a garden hose to wash the underside of the deck (with the blades running), to help keep the deck free of damp grass. Remove the mulch plug and clean around the opening. Damp grass often builds up here, and using the washing port won’t always remove it. Remove the deck so you can clean and dry it thoroughly before putting the mower into storage for long periods. To prolong the life of your ride-on mower, keep it out of the weather – you'll need a covered space of around 1.2m x 1.8m. 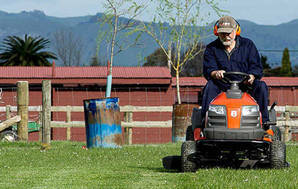 Ride-ons are likely to sit in the shed for months at a time in dry summers or cold winters when the grass stops growing. 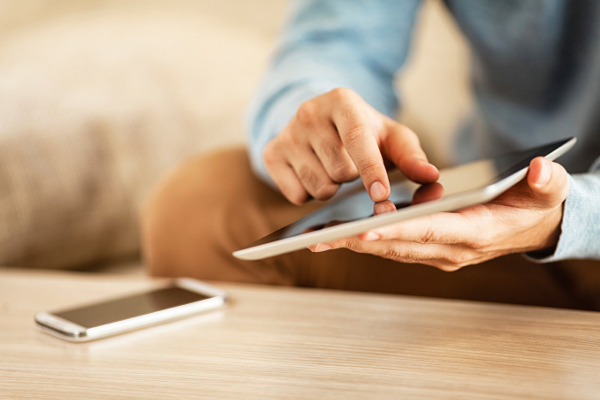 Make sure you have an appropriate battery charger so you can charge it up or even keep it on trickle charge, so it’s ready to go when needed.